Now she has precisely six seconds until she hits the water below her--just six more seconds until she is finally freed from her mundane and aimless existence. Freed of all of the regrets and disappointments that have haunted her throughout her nineteen years. 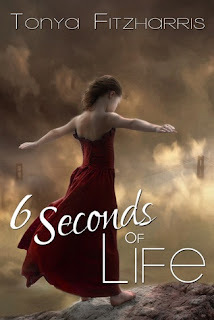 But as she falls, the most pivotal points of her life start to replay like a movie in her head: her family falling apart, her first love, her first heartbreak, and her first betrayal. As she remembers these moments that brought her to this point, will she feel a sense of peace? Or will her death be her greatest regret? Maura Yermakova is a loner. Sitting alone on a bridge she's made up her mind; she's going to kill herself. Leaping to her freedom she has 6 seconds before she hits the water to relive the lifetime of choices that led her to this point. 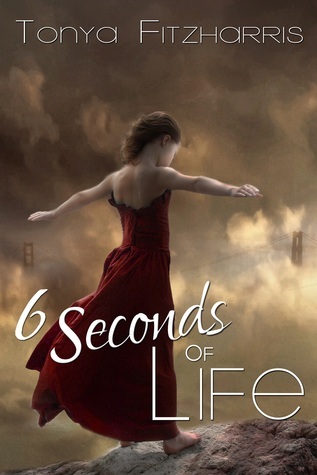 6 Seconds of life is one of the most Raw, unrelenting books I have ever read. This story twisted me in knots and made my heart ache until the last page. Unfortunately, Maura Yermakova is too relateable for me. Her struggles with her family, school, life, alcohol, and drugs took me on a gut retching ride of emotions and I could easily identify with her decision to kill herself. I'm not sure if a story like this is helpful or harmful for a Young Adult, while it could give hope to a strong willed person struggling with these issues. It could instead cause further damage to a fragile psyche. This story is full of strong language, and graphic detail of sexual situations that will leave the reader swimming in a sea of despair, and self loathing yet unable to stop reading. I for one had to struggle to get through this story, but at the end of it I'm much better for completing the journey and I have much more respect for the choices I have made in my life.